The title track was ripped screaming from the then current Heaven 17 album and the Wendy Carlos styled intro is intact, but for this track only, live drummer to the stars, Simon Phillips is added to the mix. Vocalist Richard Lloyd King does better at standing in for Glenn Gregory. But the killer revision here is the revisit of the odd one-off single by The Men [Human League operating incognito out of embarrassment]. I always liked “I Don’t Depend On You” and here it gets a big makeover that only serves to make it sparkle more brightly. The vocalists are much better suited for this song since it’s reasonably conventional in terms of its lyrics. Roy Gale actually sounds pretty good here! He’s definitely an improvement over Phil Oakey on the original. The addition of Linn Drum makes the syncopation pretty funky but the funk-o-meter seriously pegs with the addition of bass and guitar from Heaven 17’s secret weapon, John Wilson. He adds tremendously to this cut and it manages to outshine the already great original version handily. This entry was posted in Buried Treasures, Core Collection, Record Review and tagged B.E.F., Geisha Boys + Temple Girls, Hot Gossip, Human League, Ian Craig Marsh, Martyn Ware. Bookmark the permalink. I bought the original in Metro Records in Little Neck, Queens (that’s NYC for those wondering) when it came out. I have to say that the cover and the fact that it was Kenny Everett’s dancers performing was a bit embarrassing, but I had to have anything HL or H17 at the time. It took me weeks to listen to because I was so afraid of hating something Martyn Ware had worked on…Well I didn’t hate it – I didn’t go around sharing it with a bunch of friends either, but I certainly didn’t expect to like it as much as I did…I Don’t Depend On You is sort of a middle ground, sound wise, between P+P and Luxury Gap. The vocals and the funk workout of John Wilson are pretty brilliant. I skip Burn For You completely and Houses In Motion is too special a song for me to listen to ANYONE else perform it. The title track seems a bit faster paced than the original and it is a much tougher funk workout than the original. There are a few interesting electronic flourishes that, along with warmer vocals, make it distinctly different from the original. In all it’s good effort and I’m glad I own it on vinyl and cd. Echorich – You’re a better man than I am! I wimped out for at least 25 years, but I’m glad I got over my reluctance. By the way, I made the animated GIF in the post from images of their zoetropic pic disc of their early single “Super Casanova.” It tells almost all one needs to know about Hot Gossip. Echorich – Kenny Everett was shown Stateside? I recall a pilot episode, which I watched, but nothing else. The show I saw seemed to be only comedy bits. Lots of Sid Snot, no Hot Gossip and no music. But that was a dog’s age ago! Trust me, I would have remembered the likes of Numan at that time and only saw him on SNL, apart from his video for “Cars,” which I remember seeing on Casey Kasem’s America’s Top Ten! There was also a Hot Gossip video album on VHS with many of the same songs and a few other cover oddities – Adam and the Ants ‘Press Darlings’, for example – I’m sure some of the versions were different though, ‘Circus of Death’ for example was definitely different somehow – I would have to dig it out again now to check, I did copy it to DVD from the tape a while back. The story behind the Kenny Everett appearance for Gary Numan and ‘I Die: You Die’ was that is was supposed to be on the 1979/80 new year show along with Bowie, but he used his influence with the show’s producers to have Numan excised from the show. The performance did get shown on a later edition and is a different mix from the one that was released some months later down the line. It finally saw an official release on last year’s ‘Machine Music’ DVD collection release by Gary Numan. Version Crazy – Yeah, Bowie pulling rank on Numan back then was a bit of a legend. When I finally got Machine Music and saw the “I Die, You Die” Everett clip, that was a definite highlight of the package! Words cannot describe how much I love this album. Growing up in England as a huge fan of The Mighty League AND Kenny Everett(therefore exposed to Hot Gossip via his show and Top of the Pops) it was a match made in heaven,though alas it was some years before I actually got to hear it.The vinyl record was incredibly hard to find here in those pre-internet days and it got lost in the mists of time. i love the new arrangements of the HL and H17 material,as well as the covers,its just a treat from start to end for me. 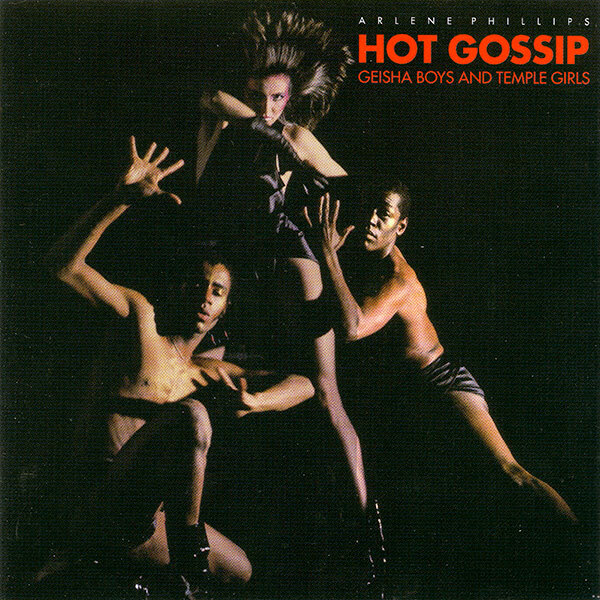 Hot Gossip also did a single produced by Richard James Burgess of Peter Godwin’s track “Criminal World” which sadly I still do not have on 12″..